We are on a journey of faith. This journey involves knowing God, knowing God’s love for the world, and sharing that love with others. In the Peace Confirmation program, youth will explore the love of God as they re-affirm their baptismal promises. We will teach from the Old Testament, New Testament, and Luther’s Catechism. This teaching will be integrated by learning through serving, building relationships with others in small groups and mentoring partnerships, listening to speakers, participating in worship, and even making art! 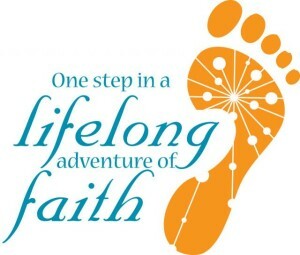 Adventure 910 – 9th & 10th graders will meet and work with Pastor Karen to prepare for Confirmation. Peace Core - – Our high school youth group. Peace Core meets occasionly throughout the school year on various days and at various times to accomodate our busy teenagers’ scheudules. This group of high school students plans service events, mission trip possibilities, and has great discussion on a long list of intriguing topics. Join us today! 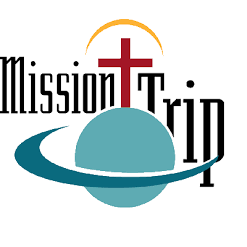 Annual High School Mission Trip – - Click here for pics of the 2018 Summer Colorado Mission Trip. Join us for a week of serving, growing, relating, playing and exploring God’s world in powerful ways. We will begin by serving at the Sharing and Caring Hands Shelter in Minneapolis, MN and the English Learning Center at Our Saviors Lutheran Church in Minneapolis, MN. In addition to serving meals to homeless people and their families, we will also be organizing some play time events for the children of that center and doing projects at other service agencies. Later in the week we will be heading up the North Shore to Grand Marais and the Boundary Waters Canoe Area for some more service and lots of play. This is a great way to do important things in the world while having a ton of fun with peers! Cost is $375. Cost includes transportation, food, and lodging for the week. Scholarship assistance is available. Sign up in the Narthex and complete a registration form—either hard copy or online. Sign up by April 30 with a dow npayment of $50. There will be a meeting in May for all participants.